FC Barcelona were not able to complete a three-peat as league champions this season, finishing in second place, just three points behind the winners. Nevertheless, the team put up outstanding numbers, including a club record for goals scored in one season (116), while on an individual level, Leo Messi won the league scoring title with 37 goals. Let's look at the most notable statistics put up by the team in this season’s La Liga. Lionel Messi won the Golden Shoe for the fourth time in his career. The Argentinian superstar finished the season with 37 goals, more than any other player in Europe. Moreover, Messi scored the last goal of the season at Camp Nou on a beautiful play. Fellow striker Luis Suárez finished second with 29 goals. Messi also led the league in two-goal games this season, with 13. Barça led the league in shots that hit the post, with 24. Neymar hit the post seven times all by himself, tops in the league. Neymar also led the league in fouls received, with 126, an average of 4.2 fouls received per game over the course of his 30 appearances. Luis Suárez led the league in assists, with 13. Six of them set up goals from, who else? Leo Messi. 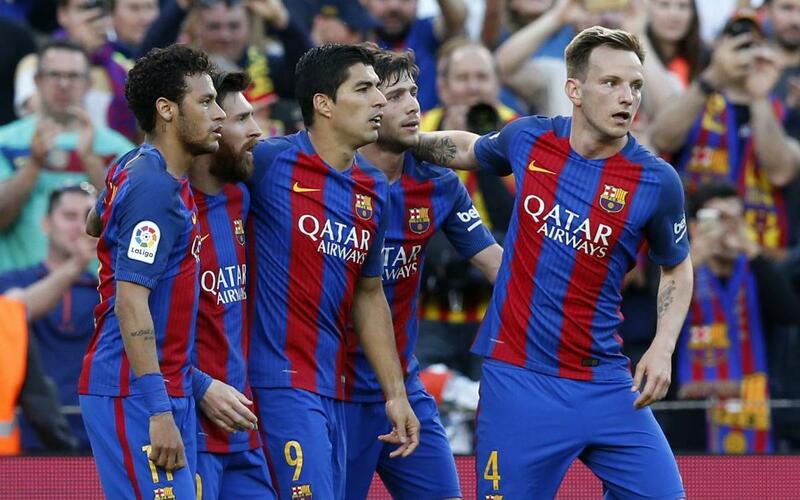 FC Barcelona led the league in total passes, with 23,592. Sergio Busquets had 2,192, best in the competition. Busquets also completed nearly 90% of his passes. Marc-André ter Stegen led the team in both appearances and minutes played. The German goalkeeper made 36 appearances for a total of 3,240 minutes. Luis Suárez and Leo Messi were second and third, respectively, with 2,863 minutes, and 2,832 minutes.